January 12, 2017: You Gotta Have Faith! 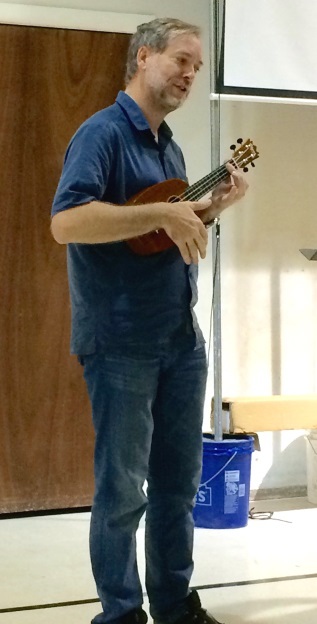 Happy New Year and happy seventh year of the Austin Ukulele Society! 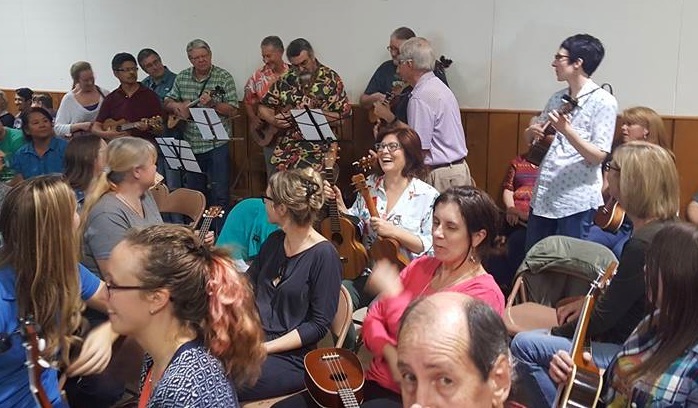 In what looked like the biggest meeting we’ve ever had, upwards of 160 ukulele players of all ages and skill levels came together to enjoy ukulele strumming and singing. 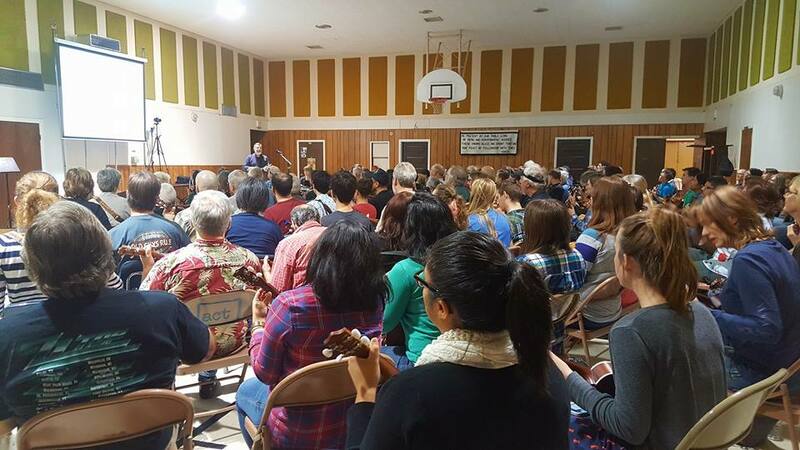 The meeting began with introductions and the sharing of upcoming events, and we warmed up with “Three Little Birds.” We then quickly dove into the exercises Bob had prepared to help the group learn to strum the Bo Diddley beat – a pattern found in many rock ‘n’ roll songs. This is a beat that sounds simple but is actually quite complex. 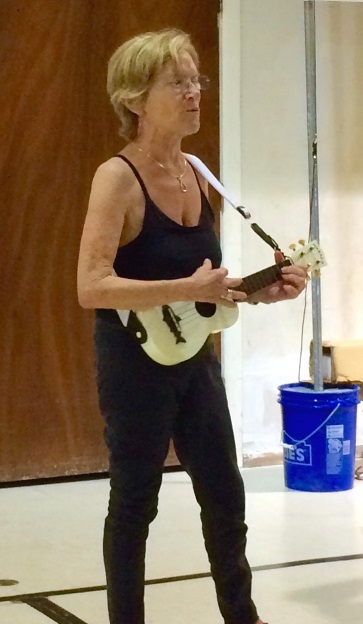 With some practice, we got better and better and put it all together to pay homage to the late George Michael by strumming and singing his 1987 hit “Faith” from his Grammy Award-winning debut solo album of the same name. To play along with us, you can download the lyrics and chords for “Faith” or download a copy of the presentation (what we project on the screen for all to follow along, including exercises and drills). 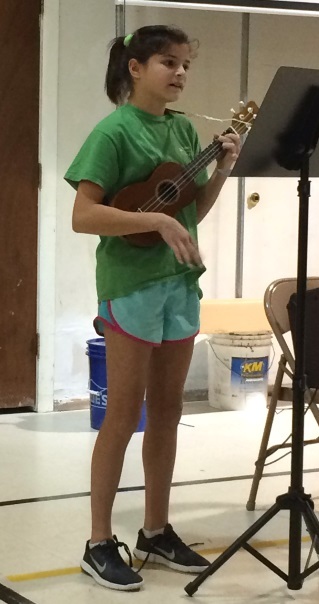 We were treated to excellent and diverse talent during the open mic portion of the evening with a great instrumental by Kit, a duet by mom and daughter Edie and Marie, and terrific solos by Rodger, Camille, and Betty. 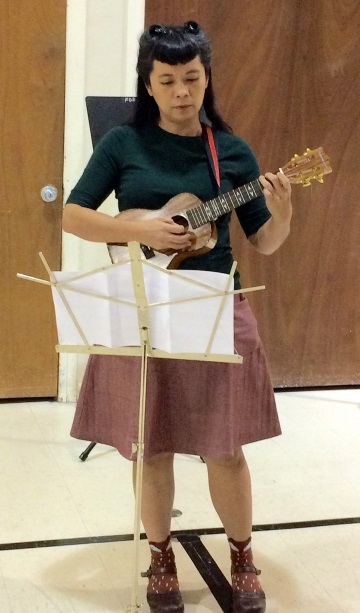 As we wound up the evening and started to fold our chairs, the crowd was delighted by Tuesday Ukulele Group’s (TUG) surprise performance of “Make Your Chair Hang Low” (to the tune of “Do Your Ears Hang Low,” with original lyrics)! 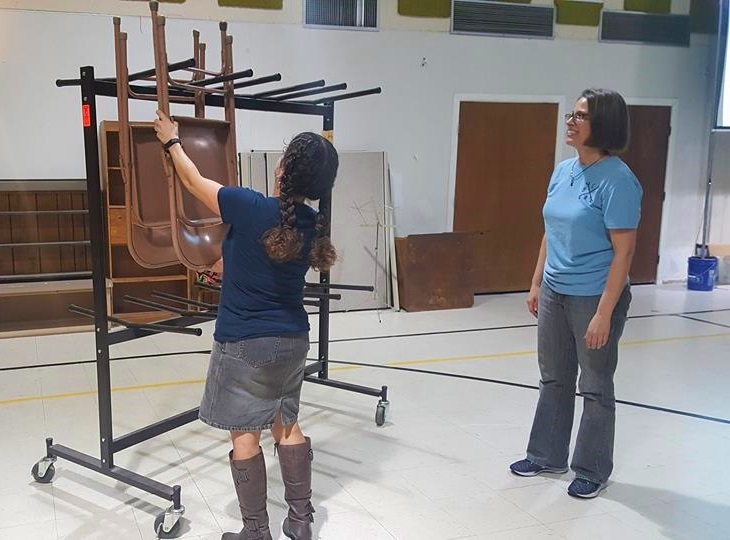 Jen and Nancy skillfully demonstrated the proper technique for hanging the chairs as taught by TUG’s song. 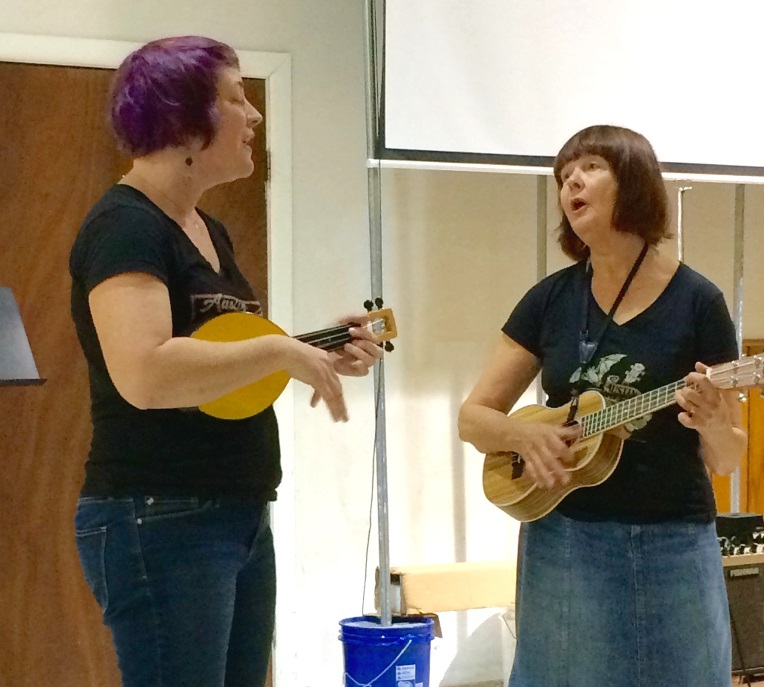 This entry was posted in AUS activities on January 14, 2017 by Austin Ukulele Society.